The Callaway Great Big Bertha is back, and it represents the next generation in driver design. It features a light and fast multi-material chassis to generate more clubhead speed through advanced aerodynamics and a wide range of weight classes to suit multiple swing types. 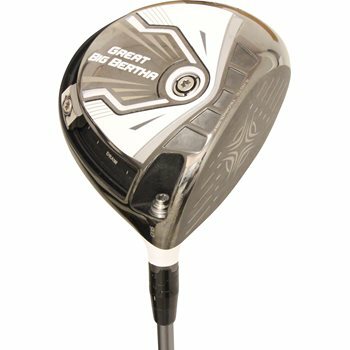 The Great Big Bertha also features Next Gen RMOTO technology that provides a thinner face which leads to higher ball speeds on center and off center hits. The added Adjustable Perimeter Weighting on the perimeter of the head allows for ball flight and dispersion control with extra forgiveness. This model features a white head and white accent color.